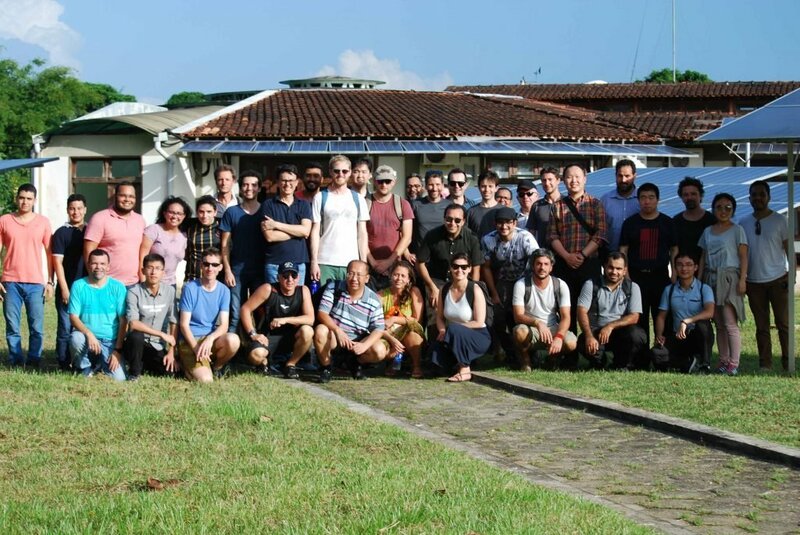 In September 2018, four members of the FLEXIS team went to North of Brazil as part of a UK-Brazil Researcher Link programme sponsored by a Newton Fund grant. Off-grid Microgrid workshop mentors and participants at the GEDAE lab. Photo credit: Kleber Lima. Professor Jianzhong Wu, Dr Carlos Ugalde-Loo, Dr Wenlong Ming and Karolina Rucinska (pictured above) spent five days with a diverse group of early career researchers specialising in providing electrification to remote communities. 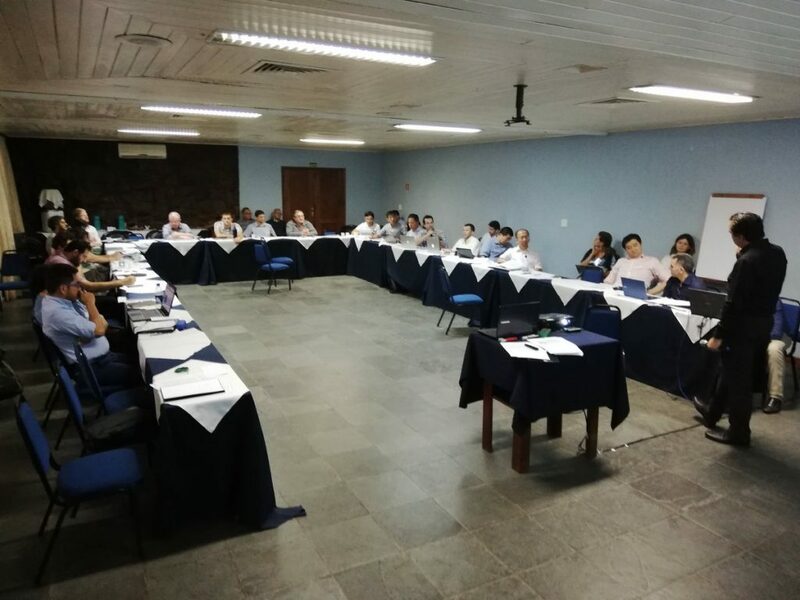 Their role was to work alongside Brazilian mentors and hosts of this workshop to provide a career development platform for early career researchers. Mentor Dr Carlos Ugalde Loo gives insights into writing a good journal article. Photo credit: Sam Williamson. 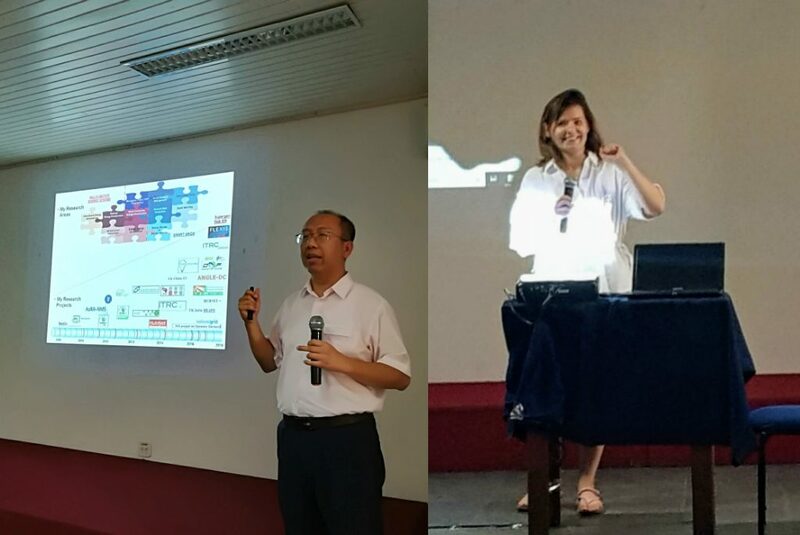 The FLEXIS team and the Grupo de Estudos e Desenvolvimento de Alternativas Energáticas (GEDAE) team from the Universidade Federal do Pará, gave lectures on finding research grants, writing journal articles and career planning (see photos below), but also advised on potential research ideas which can contribute to providing electricity to remote communities. Prof Wu explains how to plan research for small and large projects, such as FLEXIS. Karolina provides an overview of the funding landscape. Photo credit: Jon Hardwick. The UN Sustainable Development Goals aim to achieve universal electricity access by 2030. It is estimated that 65% of the 80% of those currently without access to electricity in rural and remote locations will require off-grid solutions to meet the 2030 target. 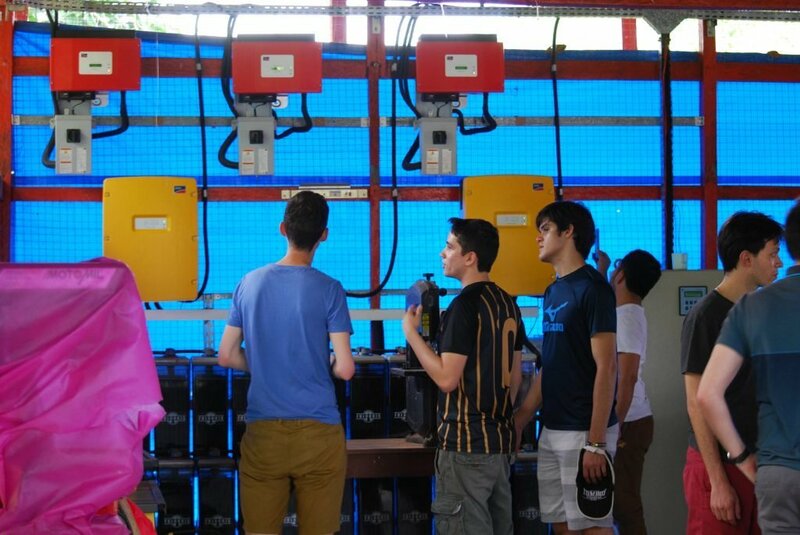 As part of the event, the attendees spent a day visiting off-grid communities in the Amazon Rainforest near Belém to see examples of electrification in rural areas. 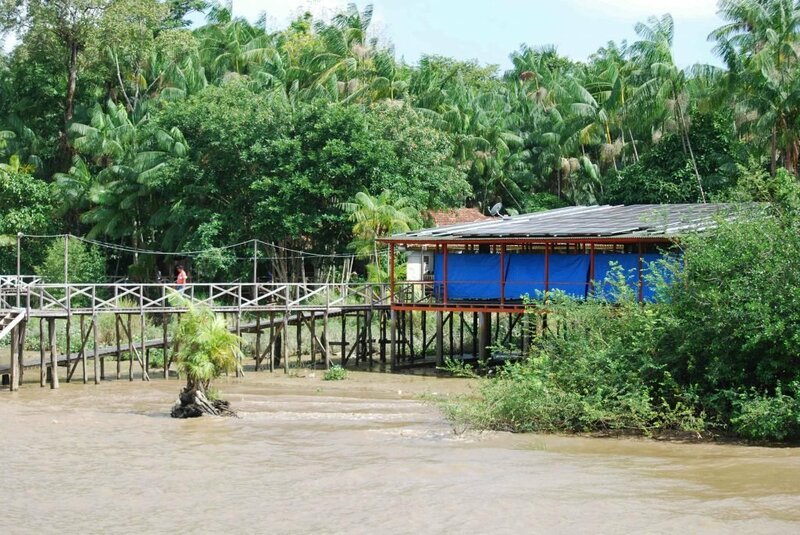 On the Guajará river, near Belém, Santa Rosa’s communities are powered by off-grid microgrids. Photo credit: Kleber Lima. Early career researchers visiting the Santa Rosa community where the GEDAE team had installed a microgrid. Photo credit: Kleber Lima. The workshop provided an excellent experience for all involved to gain a real understanding of some of the issues affecting off-grid communities and to learn how to develop projects with societal benefits and tangible outcomes. The visit to remote communities allowed the mentors and mentees to rethink how they approach the design of smart and off-grid systems. Learning about each other’s specialisms enabled the researchers to identify areas of commonality and develop ideas for future research. 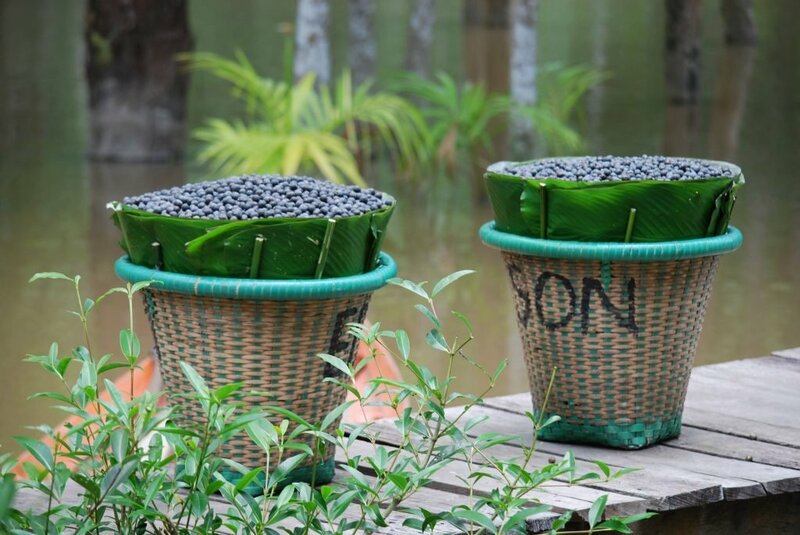 Açaí palm berries are packed with nutrients, but processing them is labour-intensive. The GEDAE team built an efficient machine powered by an off-grid system so the community can separate the açaí pulp from seeds and sell directly to a market at a fairer price. Photo credit: Kleber Lima. 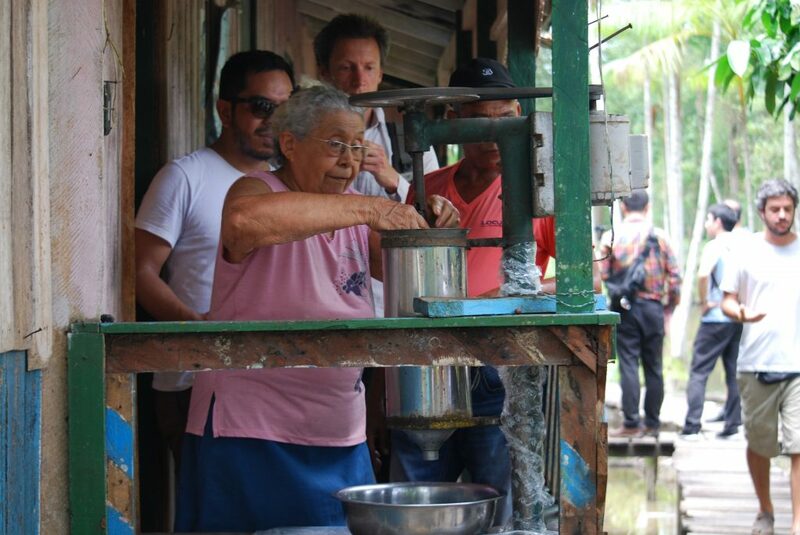 Demonstration of an açaí processing machine at the Vittoria community installed by the GEDAE team. Photo credit: Kleber Lima. The FLEXIS team would like to thank the GEDAE team for their immense efforts to make this workshop a success. The mentors are confident the new collaborations will evolve into new projects in the UK and elsewhere in the world where access to electricity is still needed. This work was supported by a Researcher Links grant, ID 2017-RLWK8-10657, under the UK-Brazil Newton Fund partnership. 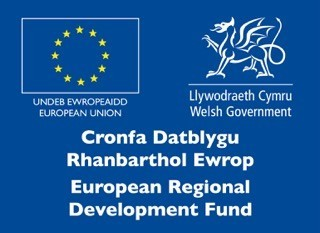 The grant is funded by the UK Department for Business, Energy and Industrial Strategy and delivered by the British Council. For further information, please visit www.newtonfund.ac.uk.